Special Order option for Comfort House item # P1053. 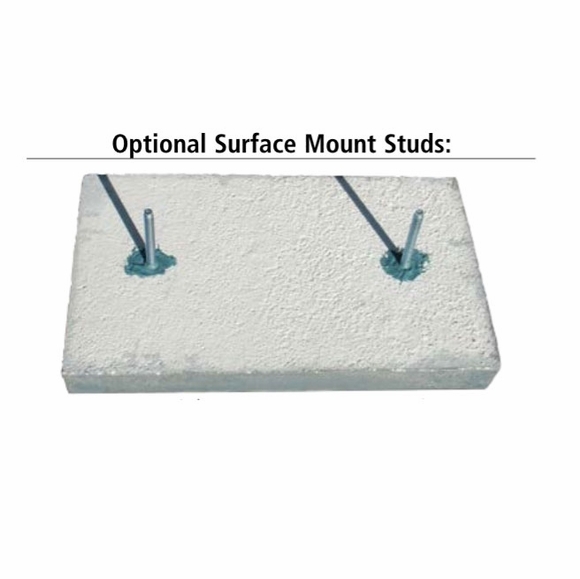 This pair of studs designed for surface-mounting the Concrete Address Block on (rather than setting into) a concrete, stone, or brick wall. The studs go into your wall and the sign gets glued to flat concrete. Sorry, we cannot accept returns on this item.